For almost 25 years, Kulture Klub Collaborative has partnered with YouthLink to engage young people struggling with homelessness. This long-standing partnership between Kulture Klub and YouthLink has helped thousands of young people to see themselves as creative and empowered people, as well as providing a safe space where youth in crisis can leave the streets at the door—an integral part of moving toward stability. In 1992, artist Dorit Cypis and George Coleman from the YouthLink Drop-In Center began taking young people to museums and events, and helping them to make art with local artists. The idea really caught on, which is why, in 2016, Kulture Klub is still providing year-round creative, supportive programming for young people. Of all of the member organizations in the Youth Opportunity Center (YOC), Kulture Klub is unique in that we are the only full-time partner. 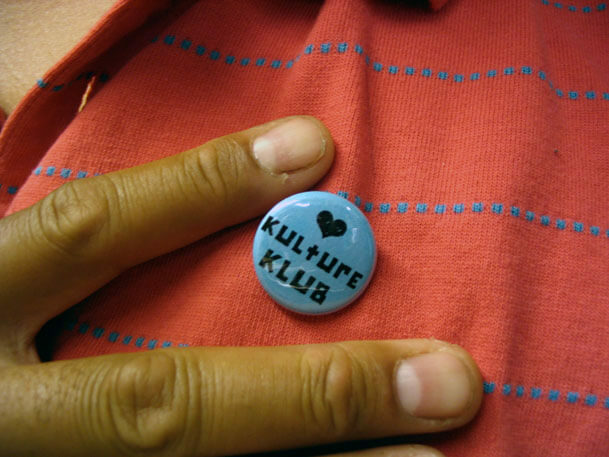 As such, Kulture Klub and YouthLink share a symbiotic relationship that leverages the strengths of each organization to better engage youth on their paths to stability. When the YOC was renovated five years ago, Kulture Klub had the opportunity to freshen up our own office and Art Lab space, as well as to create a gallery to showcase the amazing work regularly being made by participants. Our gallery has been an important place for young artists to have their first solo exhibitions, for artists-in-residence to create installations, and for group work to be displayed. The Drop-In area has hosted many an open mic and movie night. Five years ago, during the YouthLink renovation, Kulture Klub’s recording studio took the opportunity to move from its first home at St. Barnabus Apartments to the YOC, where more young people could have access to it. Kulture Klub’s recording studio has truly become an integral resource for young people at the YOC. Some youth have had significant prior studio time and use the studio to fulfill a need to get their newer work out of their heads and into the world; others have never experienced the feeling of hearing their own voice go through the mic and out of the speakers. For youth used to having no voice in their own lives, being able to not only hear their own voices or music amplified—but also to share it online or with a CD—is a magical thing. The empowerment that comes from the recording process is immeasurable. In the past year, Kulture Klub youth have created and released three albums of original music. One was a collection of pieces created with our first grant from the National Endowment of the Arts under the instruction of Kristoff Krane. “The Deep End” was the result of many meaningful Kulture Klub conversations about identity, trauma, family, racism, and social justice.